Whilst it’s easy to appreciate that all buildings should be designed and constructed with fire safety in mind, it’s far more complex to do this in practice. A raft of passive and active products are available to consider; it’s a highly technical area to understand. 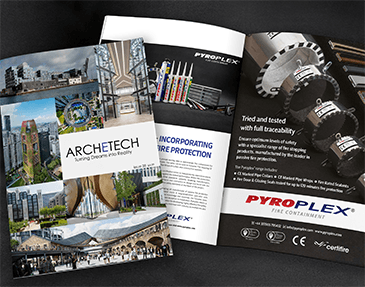 UK Principle Expert for many areas of fire protection, Andy Walsh, Technical Manager at Pyroplex Ltd provides some practical advice on how to correctly specify passive fire stopping solutions and explains why third-party certification is key to this process. The principle of passive fire safety is quite simple. A building can be divided into compartments – divided by walls and floors. If these compartments can remain sealed, should a fire break out, it will be much harder for smoke and fire to spread to other parts of the building. This in turn, slows the spread of fire and provides more time to evacuate the building and limit damage. When utilities such as water and gas are installed in a building, cavities will be created in walls and floors to pass plastic pipes through. If the cavities are not correctly sealed, fire and smoke can quickly take advantage of them; plus, many plastics are highly flammable. Gaps can also appear around fire doors if seals are not used. This all challenges a supposedly sealed compartment – and fire safety. Passive fire protection should form part of every fire safety strategy. Examples of fire stopping products that can be specified to seal cavities include pipe wraps and collars, construction sealants and intumescent door seals. We have a notable problem with the inadequacy of timber fire door seals in the UK. Did you know that over 61% of installed fire doors have problems with their fire or smoke seals? (source: Fire Door Inspection Scheme). There’s no denying that there is a complex choice of solutions for passive fire protection. Paying attention to effective specification can quite simply save lives, should the worst happen. All relevant industry professionals must play their part in ensuring that a new or refurbished building is fire-safe. There’s many manufacturers and suppliers of passive fire products. There’s a huge choice of solutions. How do you know what is truly effective? The answer is to look for third-party certification and increasingly, diligent specifiers will do little else. There are several industry recognised third-party certification schemes available, covering a wide range of fire stopping and passive fire sealing products. These valuable schemes formally assure performance, quality, reliability and traceability of fire protection products. Recognised by regulatory authorities worldwide, they provide an internationally respected mark of fire safety and represent some of the most authoritative voices in the industry. Regulators, specifiers, customers and indeed, end-users all need confidence regarding the stated fire performance of the product. Choosing a product that carries the mark of a reputable third-party certification body gives this assurance to all parties. Traceability is also a key concern and Pyroplex would urge this to be standard practice. Avoid inferior products that are not clearly branded and proven with thorough test evidence from recognised testing houses. Only then can you be reassured that in the event of a fire, your passive fire protection will work as intended. It’s a tough job where fire safety is concerned. But if you ask the right questions, you will be better placed to make an informed and effective choice. Which suppliers provide test evidence to back up their claims? Marketing statements can be extremely compelling. Without robust evidence however, they are pointless. Ask your shortlisted suppliers to back up their claims. Do they have independent test evidence or a reputable engineering report? Does a third-party certification exist to provide assurance? In addition to these assurances of performance, consider suppliers that will offer you expert guidance. And if they understand the regulatory requirements in your geographic region, this can be a huge added benefit to keep your building project on track. How do the various products work with your designs? This question can be best explained with an example. 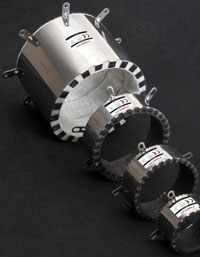 When specifying pipe wraps, it is often necessary to ensure that the proposed system can accommodate the variation of service sizes and service combinations to be encountered. The ability of any particular sealing system to maintain the performance of a separating element is also dependent upon the material composition, geometry and thermal behaviour of the element being used, from HDPE, PP and other pipe materials such as unplasticised PVCu. Another example concerns timber fire doors. The design and door specification will require an accompanying fire door seal. Problems occur when specifiers do not opt for seals that have been paired and fully tested with the specific doorset in question. Ask manufacturers to demonstrate this for their fire doors. Having these discussions early on with your prospective suppliers will ensure that your end choice is truly fit for purpose, leaving no nasty surprises at the eleventh hour. Do you require a specific level of fire resistance? You’ll no doubt have regulatory requirements to meet regarding the level of fire resistance. Find a competent supplier that can demonstrate solutions to meet these requirements, always backing this up with robust test evidence. At Pyroplex, we can provide test reports to confirm the level of fire resistance for all our fire door seals, for example. This is an area that often causes problems and compromises the fire safety of a building. The most effective passive fire protection products will be of limited use if they are not installed correctly. The worst-case scenario is that poor installation risks lives and increased building damage; something that nobody wishes to be responsible for. Addressing the issue of installation early in the process enables you to involve the suppliers and manufacturers of your specified products. They will be able to offer installation instructions and training for your team or recommend specialist installers that can be brought in to undertake this task. I started by highlighting the technical complexity of passive fire protection. There are many specialist associations in existence to provide independent advice and guidance to any relevant industry parties. They exist to help you deliver an effective outcome where fire safety is concerned. Many competent manufacturers and suppliers will be members of these associations, proactively contributing to the wealth of knowledge and expertise on tap. By drawing on such invaluable resources, your project will meet the approval of the authorities first time and avoid frustrating delays in progression. Most importantly, it will be equipped to slow the spread of fire, should it ever break out. ASDMA (Architectural and Specialist Door Manufacturers’ Association) acts as a knowledge centre for the benefit of both members and the wider industry when it comes to timber fire doors and seals. With direct influence on UK, European and international standards, ASDMA educates and promotes best practice amongst specifiers, fabricators and installers on many critical and complex technical issues. It offers a huge knowledge and contact base to those organisations that need to work through the technicalities of specifying and installing timber fire doors for optimum results. The Association for Specialist Fire Protection, formed in 1975, supports the activities of the fire industry with regard to “built in” fire protection. 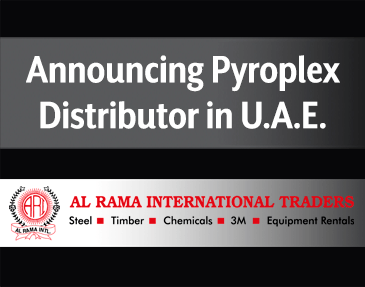 It strives to promote excellence in the design and installation of fire protection products and works closely with Government, regulatory and international standard setting bodies, having had significant input into the vast majority of guidance and standards that exist today across the whole spectrum of the passive fire protection sector. The ASFP can provide knowledge and guidance on all aspects of built in fire protection, technical support and impartial advice. The British Woodworking Federation is responsible for the award-winning awareness campaign, Fire Door Safety Week. The Federation can supply invaluable resources such as the BWF-Certifire Installation Guide.